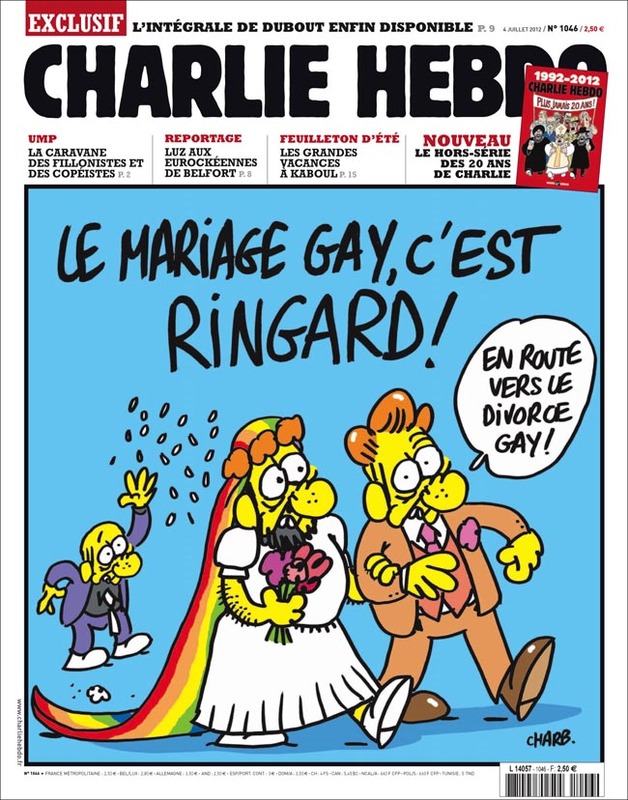 Charlie Hebdo provocative take on gay marriage as tacky, and a path to gay divorce. It is a dark day in France and much of Paris is in a state of high alert. There is a visible military and army presence. More so, circumstances demand reflection on the key issues at stake, among them citizenship, religion, and the French republican values – liberté, égalité, fraternité. These are values that were spread, and exchanged in that transatlantic age of revolution and democracy. 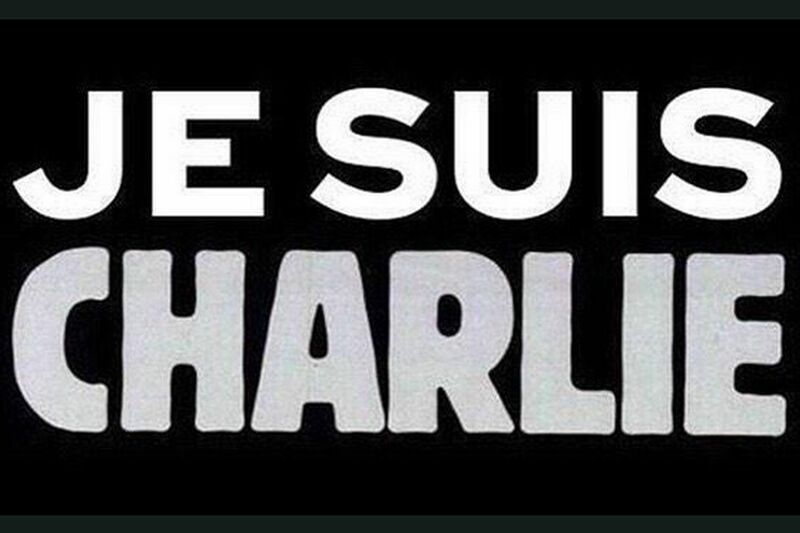 Charlie Hebdo represents, even in the aftermath of yesterday’s tragedy, a defense of these values in the 21st Century. Charlie Hebdo also, more crucially, provides a canvass upon which radical voices and transgressive thoughts can be articulated. It represents, for individuals and groups seeking visibility, a refreshing dash of queer in a world of fear-filled conformism. The lives lost in Paris have sparked an outpouring of grief (which may turn to outrage) across the continent, the Atlantic, and beyond. The hope is that the determination to challenge received wisdom embodied by Charlie Hebdo will only be strengthened by yesterday’s cowardly act of terror.